The dictionary defines the word "passion" as a very strong feeling or emotion. So when you have a passion for something, it means that you enjoy and love that pastime more than any other. So when I decided to try pole vault, and I picked up a pole for the first time and ran down the runway, I knew I had found something I was so passionate about that it would stick with me for the rest of my life. I have been a track and field athlete since the seventh grade. I participated in events such as javelin, hurdles, 100 meters, and sprinting. However, pole vaulting was never offered to us in middle school. 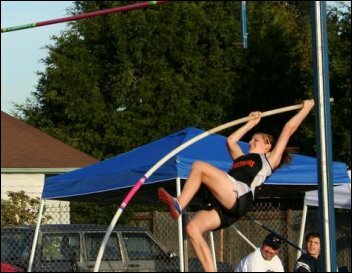 I have always been willing to try new things, so when track started my freshman year, I couldn't wait to try my luck at pole vault. The pole vault event is easy enough to understand. You take a long, hollow, fiberglass pole, then you hold the pole at the top and point it towards the sky as you run down the runway. As you come closer to the landing pit, you gradually lower the pole. There is a planting box where you plant your pole. 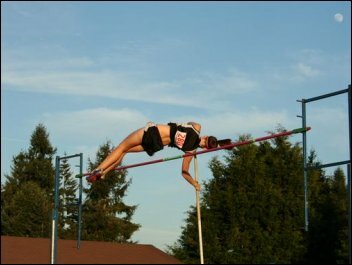 The pole vaulter's speed combined with the force of the pole being planted, will propel the vaulter upside down into the air. The pole will bend and basically fling the vaulter over the bar as long as the vaulter does everything correctly while they are in the air. Although this is all happening at once, there are many phases to the pole vault that athletes must constantly practice in order to improve. As you can tell, pole vaulting is one of the most complex events in track and field, and in my opinion, the most exciting. 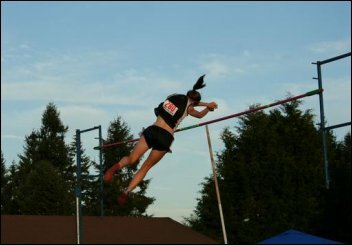 Throughout my freshman season I continued to vault, and qualified for districts where I cleared 8 feet. 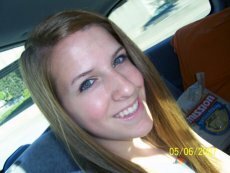 Sophomore year, I persisted with pole vault and made even more improvement. That year, I qualified for districts again where I vaulted 10 feet 3 inches, broke the school record, and earned sixth place at state. I was very thankful to have the opportunity to practice during the summer with both of my coaches at a local gymnastics facility. Pole vaulting means more to me than I can even explain. It's one of the biggest rushes when you're flying through the air over the bar. I also like it because there are not many girl pole vaulters out there. The event has been around for a long time, but it was never really popular with women until the mid-nineties. I hope to continue my sport for as long as I physically can. It's inspiring to me to see people go after their goals, no matter how old they are or how difficult they seem to reach. When I set goals for myself in pole vault and accomplish them it's really the best feeling in the world. I strongly believe that every single girl should have a hobby, talent, or activity that they feel passionate about. When you're involved in a sport, club, or activity you will have more self-confidence, be more motivated, and be an all-around happier and healthier person than someone who has nothing that they care about. Once you have found a hobby, set goals for yourself. If you like running, a goal might be to run a little longer each day. If you want to learn to play an instrument, set aside a time each day when you can sit down and practice. I encourage all you ladies to find something you feel as passionate about as I do with pole vault. I owe so much of my success to my wonderful coaches who made me practice the vault over and over, even though I was tired and just wanted to rest. I have also met amazing people on the track team. The track and field athletes share a special bond. We play games, joke around, and laugh with each other during the bus rides to our meets. I don't know what I would do without the friends I have made on my team.